N.B - The news is from 2008. I just found about it recently and thought of posting it in case some people might be interested! If the MV AGUSTA brand itself is not one of the most sought after luxury items on planet earth and further if the F4 is not the most sought after motorcycle from the most sought after brand, someone had to go a step further to make the most sought after motorcycle from the most sought after motorcycle brand even more desirable… Exquisite designers AURUM has gold plated a MV AGUSTA F$, can you believe it? 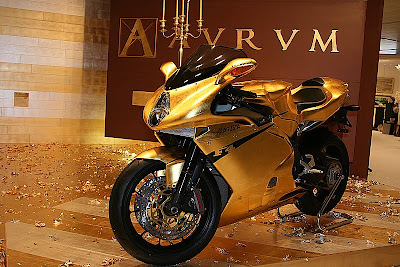 Aurum literally transforms everything into gold that is they take products of exclusive brands and houses and gold plate it. And now they have chosen to target a motorcycle. 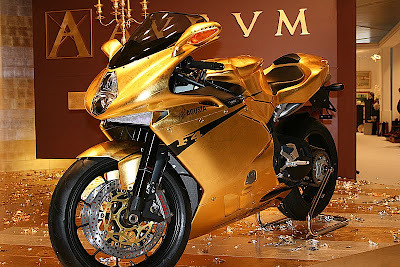 So what could have been better than the most sought after motorcycle from the most sought after motorcycle brand? 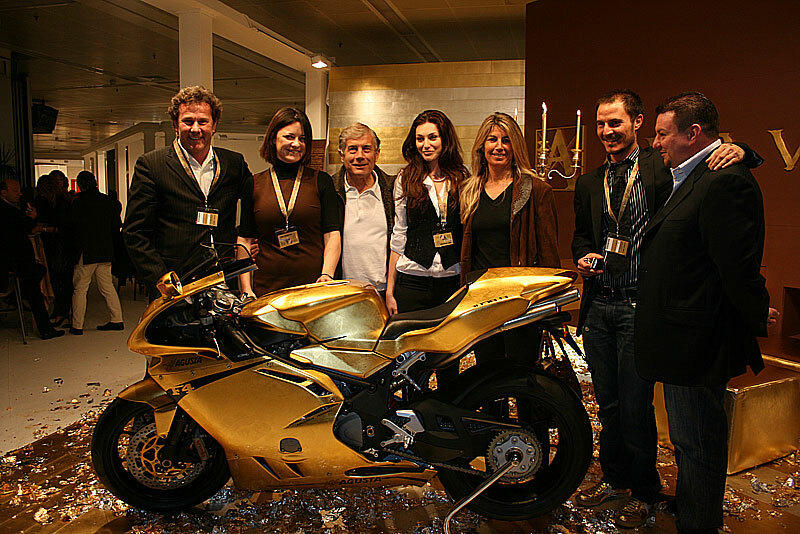 Aurum presented a floor last year entire entirely covered in gold during a luxury show in Verona. They have also done quite a few varied items crafted and covered in gold. 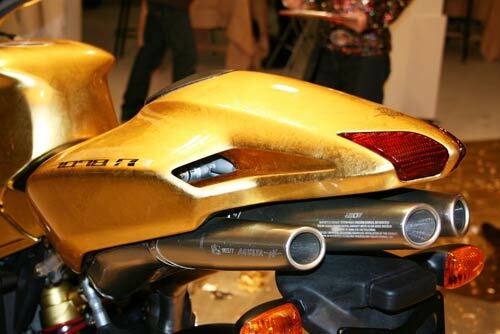 They have put that experience to yield out their knowledge on ‘how to; put gold leaves on plastics and metals. Head of Aurum, Mr. Adolfo Finotto have 8 years of research and experience doing similar projects. 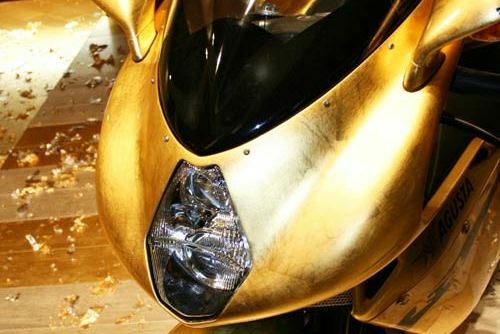 And he has created a motorcycle which is not just a show piece, but one can actually make in run in normal city driving conditions regularly. Aurum, the firm, has patented may of their works and record says that their patented collection include 11 patterns, 6 in gold, 4 in silver and 1 in copper . 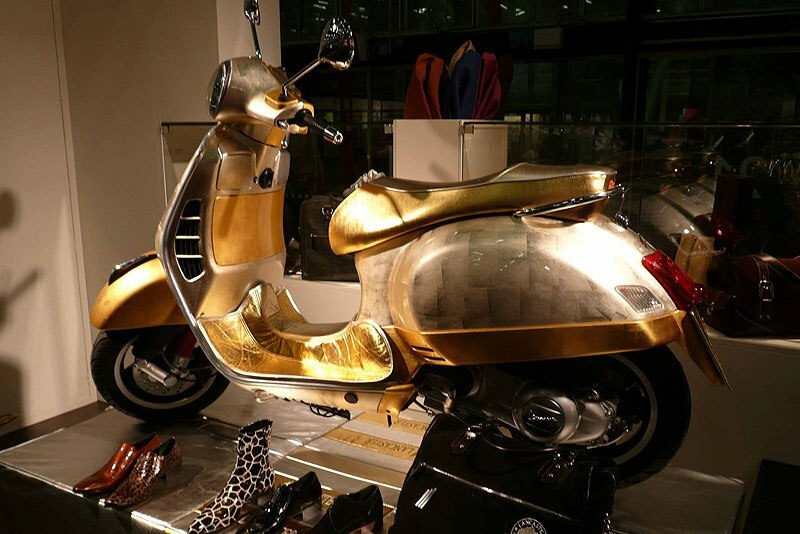 They have spread their Midas touch adding style and charm to the chicest houses, yachts, shops and prestigious hotels. 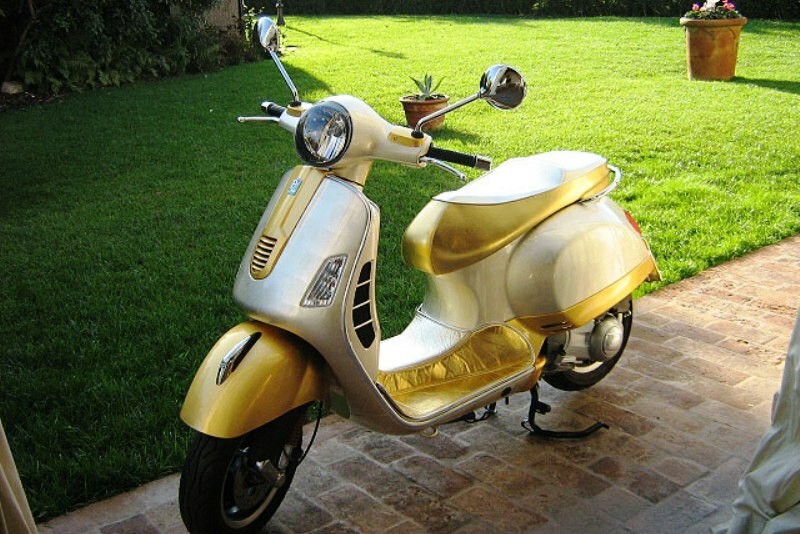 Also see there are some scooters where they have done there thing which might interest you if you are not so much into bikes. It will be interesting to find out which lucky human being (although read somewhere that some bloke from Brooklyn has already bought it) is going to own this thing. 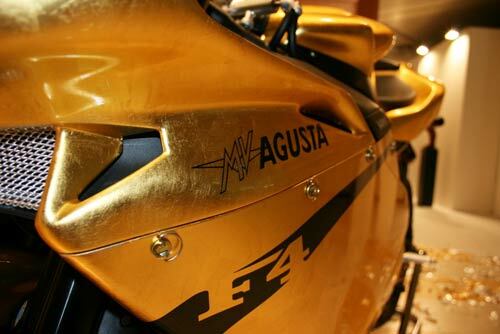 Price of the bike is undisclosed (again, although read somewhere it is at $120,000 USD) but rest assured, I guess we will need to take some more births to accumulate that kind of money to buy the ‘Golden’ F4 and of course, also have the logic, as why to buy it in the first place. 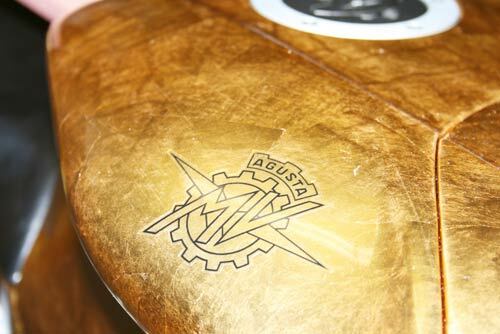 Nonetheless, if you are interested, do visit the Aurum website. Additional pictures below courtesy: Kaufman Motos.